I have a notice the coupon DigialOcean’s new, give $100 to the new account. 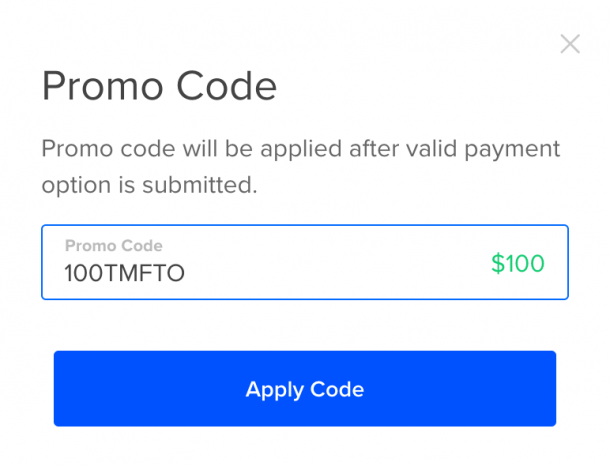 If you’ve never used the service in DigitalOcean, please immediately sign up for an account and use the coupon 100TMFTO to get free credit. Limited to 60 days of use. This coupon I think will quickly expire, don’t miss this great opportunity. Access the email confirming your email address. Add $5 through your PayPal account or visa/master card information to verify your account in the Billing page. Enter the code on the box Have a Promo Code? the bottom of the page, your account will be plus $ right.